Esthetician Tidbit: How Do I Sterilize Diamond Microderm Tips? Microdermabrasion is one of the most popular services offered in spas, and diamond microderm is often touted for its easy-to-use tips and less abrasive nature. But the challenge is - how in the heck do I effectively sterilize those diamond tips between clients? Using rubbing alcohol and a small brush, clean the tip thoroughly to remove debris and residual skin particles. Sterilize in your UV sterilizer for 30 minutes. Tips should be replaced every 6-12 months, or more often if they are heavily used! Add A Healing Edge To Your Services! Looking for something extra to incorporate into your services within the new year? 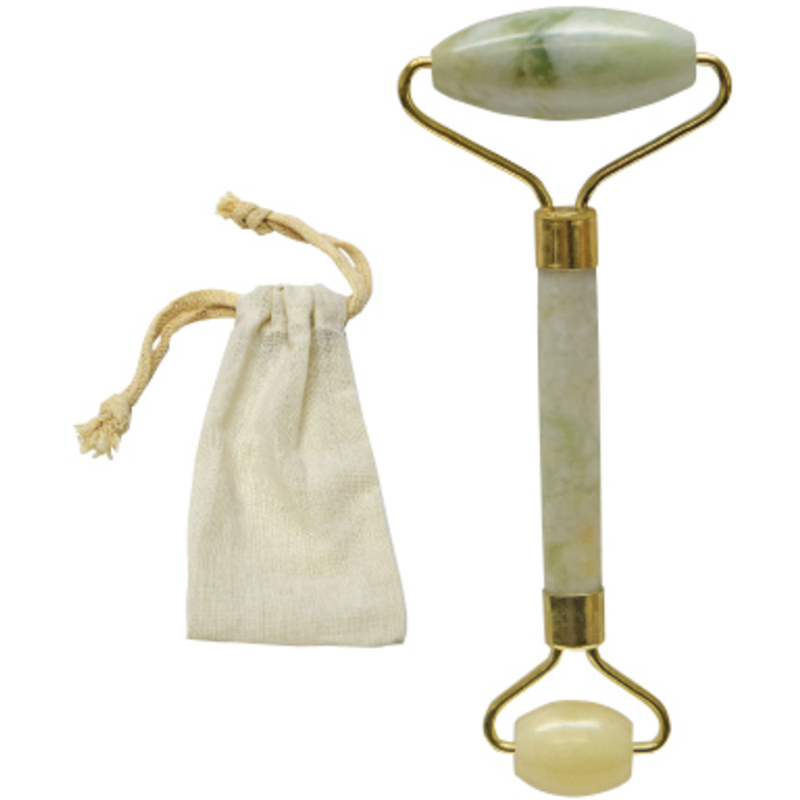 Our new Double-Ended Agate Roller is a magical little device that can definitely add an edge to your spa services! It features a small roller of agate on one end, and a longer roller on the other. Agate is known for its healing properties, and can help to smooth, tone, and even calm the body. You can use this roller during massage services, facials, pedicure, or even reflexology treatments! It can be chilled or even heated for added benefits. This roller helps to increase circulation within your client's face, which aids in reducing puffiness, and decreasing wrinkles. If you have clients who are on the go, you can even retail these! They come in an adorable little pouch. Get these soon before they're gone! Say Goodbye To Ingrown Hair! I'm sure most of your clients are looking for the latest product to help them with those pesky ingrown hairs! If you're in need of a new product to retail to your clients, our Lycon Ingrown-X-It Cream is an absolute must! It's formulated with salicyclic acid, fruit acids, allantoin and arnica, and is very gentle on your client's skin. It's even gentle enough to apply on their face! This cream is perfect to help minimize the appearance and discomfort of ingrown hairs and blemishes after waxing, shaving, electrolysis or even depilatory creams. Help your clients maintain their skin after these services (and boost your retail sales!) by getting these in your spa! We also carry other ingrown hair products if you are looking for a variety. We are happy to help you find one that meets your clients' needs! With Thanksgiving approaching sooner than you think (where does the time go?! 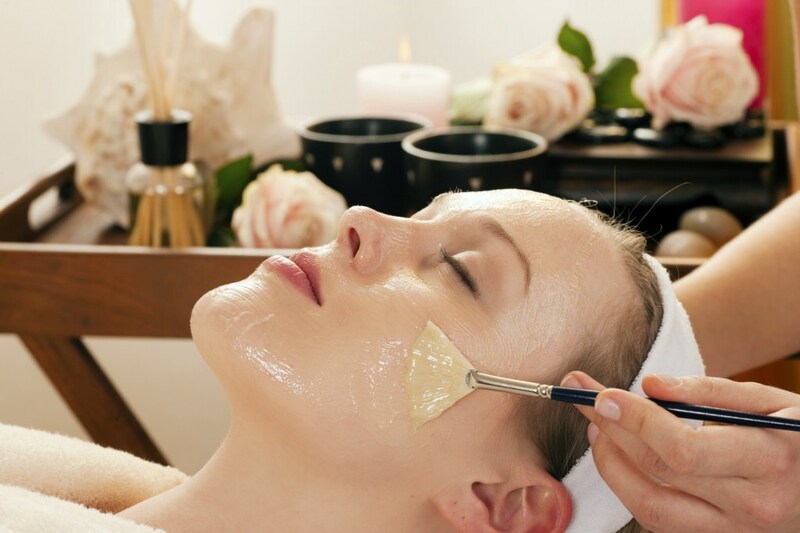 ), have you thought about incorporating any festive facials into your business for November? Cranberry is a festive and fun scent that is perfect for this time of year! Aside from smelling and tasting delicious, cranberry has a variety of beauty and health benefits. It contains resveratrol, and also has antiseptic properties that help maintain a clear and youthful appearance. 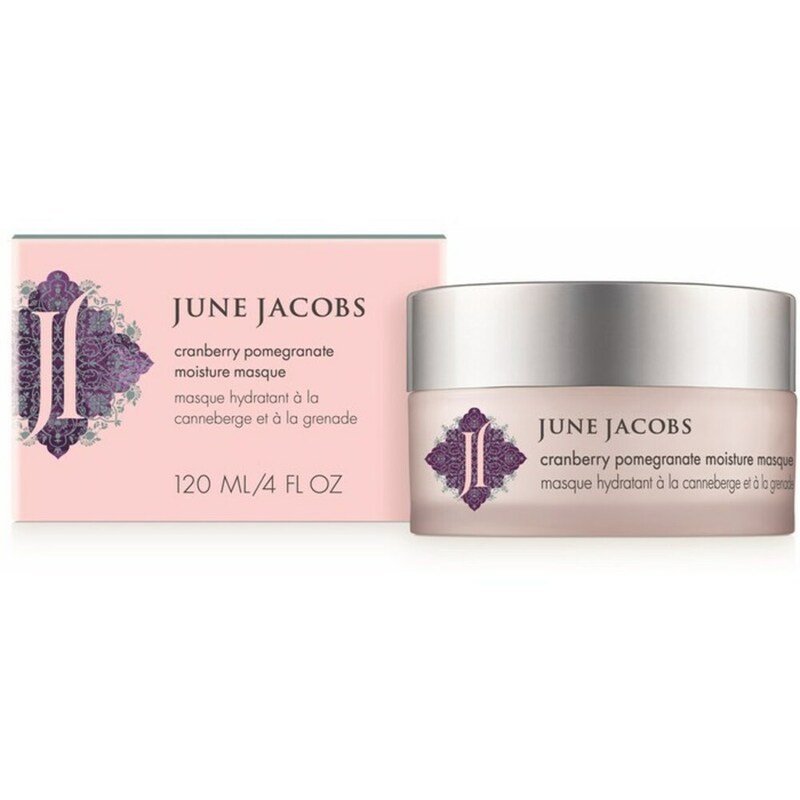 One of our favorite cranberry products this time of year is the Cranberry Pomegranate Moisture Mask from June Jacobs. It's paraben and preservative free, and will make a lovely facial this time of year for your clients! We also carry a backbar size, and I'm sure your clients will wan to take home the smaller retail sizes, too! What festive services will you be doing for your clients this year? Help Your Clients Stress Less! Have you seen our Just Added section lately? We added a ton of new items! With the Fall quickly approaching, I'm sure you're searching for new products you'd like to add to your retail shelves, or use in your treatments! A new favorite? Our products by AromaFloria! They have an amazing supply of scrubs and massage oils. Your clients will definitely love their Stress Less products, because who isn't looking for less stress in their life?! This line is made with Lavender, Chamomile, and Sage . You will certainly calm your client's worries, relieve anxiety and generate greater sense of well-being. 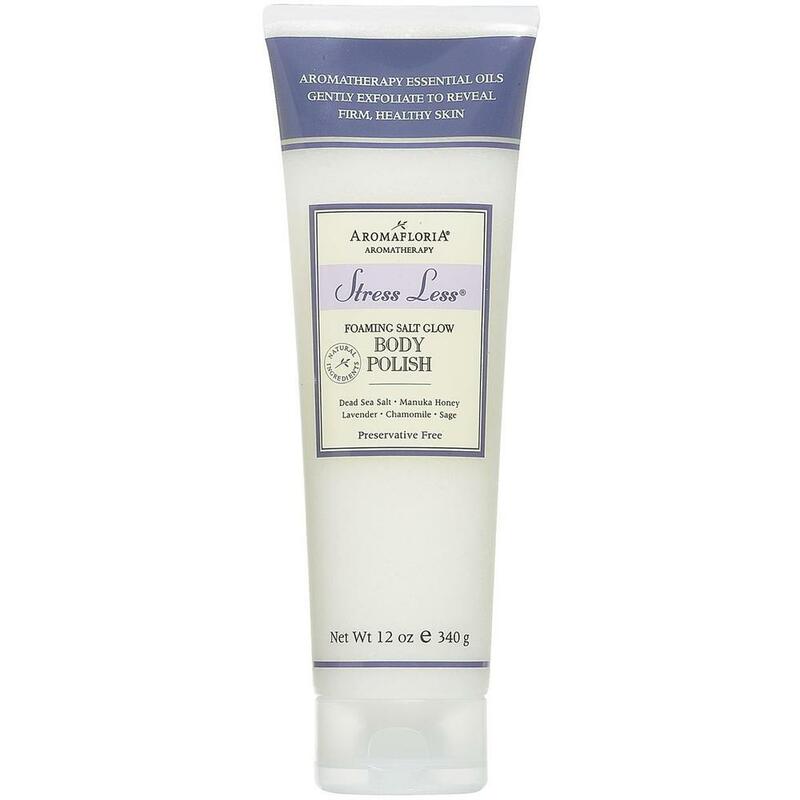 I personally love their Stress Less Foaming Salt Glow Polish! It's unique formula combines the power of therapeutic Ocean Minerals and Pure Magnesium Sulfate-a natural mineral known for its many health and wellness benefits- gently exfoliates away dry skin to reveal smoother healthier feeling skin. On top of that, it smells amazing! Get this on your shelves now, and your clients will thank you for lessening the stress in their lives! On A Tight Budget? Contact Us! Are you in the market for a new Beauty Bed, or piece of Equipment for your facility, but have a strict budget to maintain? I recently helped a client who was looking for a new wellness bed, but didn't want to break the bank. She came to me with a detailed list of requirements - it needed to lay flat, the height needed to be adjustable, it had to rotate and look aesthetically pleasing, etc., etc. Pretty much every specific detail you could imagine! I assured her we had a massive selection! The catch? They had a strict budget to maintain, and could not spend more than $600. They also needed it ASAP! They were having a meeting with their doctors by the end of the day, and needed a couple of options to present them with. I immediately had a few in mind, and emailed them links within minutes. We had discussed a few different options that would meet her specifications, strict budget, and 2 week time frame, and the order was placed within the next 24 hours! If you're on a tight budget, and in need of anything for your business urgently, please contact us! We are happy to help, and can meet your specification, time frame, and budget! An Esthetician's Best Friend... The Mighty (OK, more like Mini) Lancet! 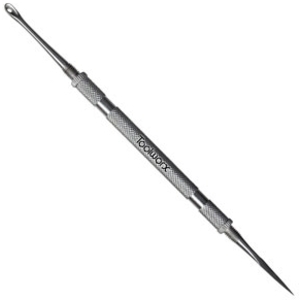 Lances and Lancets are used by estheticians for the extraction of white heads and other blemishes. Whiteheads are removed in the same manner as blackheads except that an opening in the dead cell layer must first be made. This is done by placing a lancet almost parallel to the surface of the skin and pricking the cell layer to make an opening for the debris to pass through. Clean lancet between each blemish. Pure Spa Direct offers a great selection of Lances and Lancets -- both disposable and sterilizable for skin care professionals! Top 3 Tools of the Trade Every Skin Care Pro Needs! I just read a great article in SkinInc about the 3 Tools of the Trade Every Skin Pro Needs. When I saw the article, I started guessing to myself - oh! a steamer! definitely a lamp! microderm abrasion? oxygen facial? Ok, this one was almost easy. My second guess. But why is it so important? Analyzing your client's skin is the #1 job you have...after all, how can you treat it if you don't know what is going on with it? I fully support the necessity of a good Mag Lamp. Pure Spa Direct has a massive selection of Mag Lamps to fit any budget - so make sure you have the tools you need! While this was NOT one of my initial guesses, as soon as I read it, I definitely mentally facepalmed. OF COURSE you want to look the part! When you look clean and put together, clients will trust you! Your clients MUST trust you if you will be working on their skin - but will they trust you enough to purchase retail from you as well? Pure Spa Direct offers some of the most beautiful and functional Spa Uniforms on the market today! June Jacobs - Made in New York, this line is featured in high end spas and hotels around the world. They are plant-based and free of preservatives! Alchimie Forever - Formulated by dermatologists in Switzerland who have 20+ years of clinical experience and use the most potent antioxidants. This line is effective at delivering visible results for youthful skin! Control Corrective - This line is all about transformation! Made in California, there are different collections that are color coded to make merchandising easier for your clients! The most popular and common esthetic treatment our clients provide is high frequency treatments. But what exactly is high frequency, what is the best way to perform these treatments, and why add these treatments to your spa menu? eliminate toxins and bacteria from the skin surface. High frequency is used to kick-start the skin rejuvenation process. It has been shown to enhance circulation, increase production of collagen and elastin, eliminate toxins and acne-causing bacteria, encourage lymphatic drainage, exfoliate dead skin cells, and assist with absorption of skin care products. High frequency current stimulation forces an infusion of oxygen-rich molecules into the skin, which cleanses, massages, stimulates blood flow, and dilates superficial blood vessels. Because of the increased blood flow, high frequency tones the skin (similar to muscle toning). Application of high frequency current promotes a cleansing antibacterial action, and the skin is left feeling energized, rosy, firm, refreshed, and noticeably softer. The dilation of blood vessels pushes toxins away from the skin’s surface, and allows the skin cells to feast on increased nutrients and hydration. With high frequency skin treatment, a chemical reaction causes the emission of ozone into the air. Ozone is a form of oxygen that has germicidal properties and is extremely beneficial for treating acneic skin. The more oxygen that surrounds the electrode, the more ozone is formed and the greater the effect. When the electrode is lifted away from the skin surface, more oxygen surrounds it, a more intense drying and healing action occurs. This method is called “Sparking”. 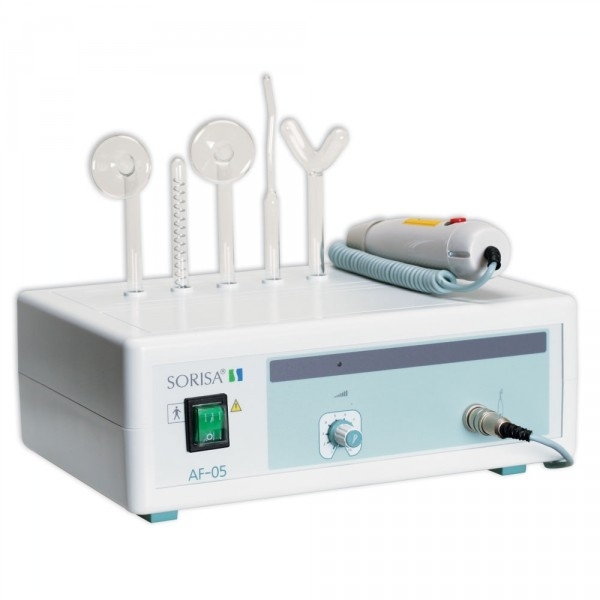 High frequency facial machines include glass electrodes which come in different shapes and sizes to treat various contours of the face and body. When applied to the surface of the skin, a mild electrical current passes through the neon or argon gas filled glass electrode causing it to emit a subtle glow. The electrodes produce varying intensities of infrared light and a pleasant, therapeutic tingling sensation which may be adjusted via a power control dial. High Frequency Electrodes produce either a neon orange or violet colored glow depending upon the inert gas that they are filled with. We have found that both colors produce equally effective results. with a variety of electrodes. 1. The esthetician holds the electrode and works in circular motions for 3-5 minutes. 3. All treatments should be started with a mild current, and gradually increase intensity. 4. “Sparking” is a technique used on acne blemishes and lesions. 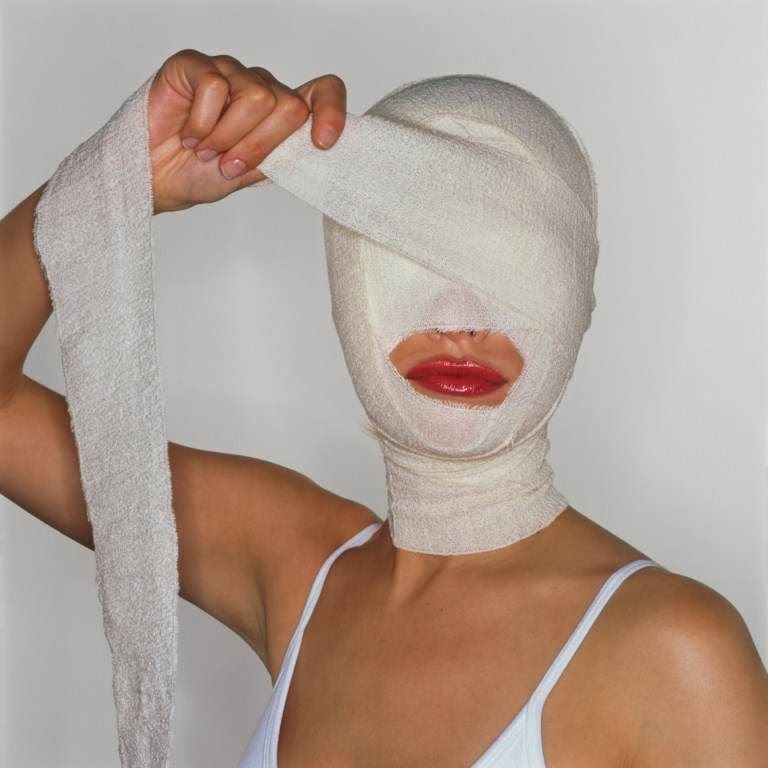 Sparking is accomplished by placing layers of dry cotton gauze over the skin, creating a gap between the skin and electrode. Upon treatment, the “spark gap” releases ozone from the electrode to destroy bacteria and aid in drying pustular infections. IMPORTANT: Never create a gap of more than ¼”, as tissue destruction can occur and the skin will heal leaving brownish marks. 1. Insert the chosen glass electrode into the high frequency machine; it should just snap in to place. 2. Turn the high frequency machine down to a zero level and turn it on. Wrap the cord around your arm once to keep the cord from dragging across the client's skin. 3. Hold the handle of the high frequency electrode in the hand that you normally work with. Place your index finger on the glass electrode. Do not remove your finger until the electrode is in contact with the client's skin. Removing the finger too early creates an uncomfortable spark effect on the client's skin. 4. Place the electrode on the client's skin and remove your finger. Increase the intensity to a comfortable setting. Glide the electrode over the face in a circular motion. Maintain continual contact, not pulling away more than ¼ inch. Start with the forehead, then move to the nose, cheeks and chin. 5. 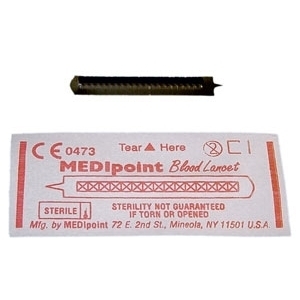 Treat problem areas such as individual blemishes by "sparking" the spot with the edge of the electrode. Place your finger on the electrode, touch the electrode to the spot and remove your finger. Quickly replace your finger on the electrode, remove the electrode from the face and repeat in another area. 6. Place your finger back on the electrode and remove it from the client's skin. Turn off the high frequency machine and sterilize the electrode. 1. Acne: Sometimes the body can become immune to certain acne medications if used over an extended period of time. When combined with an effective acne treatment lotion, regular application of high frequency keeps the acne away long after other expensive medications and treatments can fail. High frequency gently cleanses the skin of acne-causing bacteria and unwanted toxins while making the skin more receptive to acne lotions, creams and other skin treatment products. The results can be extremely dramatic - even after only a few treatments! 2. Enlarged Pores: With regular use, high frequency skin care treatment can be very effective at reducing the size of enlarged pores, softening skin and controlling excess sebum production. The gentle spray of oxygen molecules produced by the high frequency current diminish enlarged pores by penetrating deep down into the root of the affected area and cleaning out unwanted debris and toxins allowing the pore to quickly regain its natural size once again. 3. Fine Lines, Wrinkles, and Sagging Skin: The oscillating action of high frequency can increase blood circulation, which in turn nourishes the skin's surface and renews underlying cells. It also produces an enriched form of oxygen, which can provide the skin with a firm, youthful, vibrant glow. It can diminish the appearance of fine lines and wrinkles, tighten double chins and jowls and improve overall skin texture and tone by promoting increased collagen production. 4. Puffy Eyes: The pulsating "oxygenation" action produced by high frequency current aids in lymphatic drainage and disperses excess fluid while increasing blood circulation. The result is a reduction in the appearance of congested, tired, puffy eyes. High frequency also helps the skin more efficiently absorb skin care products thereby extending their effectiveness. 5. Dark Eye Circles: New scientific research has shown the cause of severe dark eye circles to be broken capillaries that have leaked hemoglobin, creating a red-blue pigment deposit under the eyes. High frequency creates a circulation rush in the area and helps your current under eye product penetrate deeper into the skin tissue. The application of high frequency can be very effective at fading dark under eye circles resulting in a fresher, brighter, more youthful looking appearance. 6. Cellulite: With regular use, high frequency treatment can be very effective at reducing the appearance of cellulite when used in conjunction with a quality cellulite product. For years, the skin care industry has relied on this same high frequency, oxygen molecule producing technology to aid in lymphatic drainage, gently exfoliate the skin, increase blood circulation, assist in the production of collagen and elastin and promote healthy cell metabolism. The result: smoother, firmer, more refined skin. 7. Thinning Hair: Through its rapid oscillation, high frequency current improves the process of nourishment, gently exfoliates the skin, promotes local blood circulation, stimulates local glandular activity, supplies heat to the area which is soothing to the nervous system and significantly improves the scalp's receptiveness to and the overall effectiveness of post-treatment hair growth formulas. For many years, hairdressers have used high frequency current technology to revitalize scalp conditions which can aid in promoting healthier hair growth. 1. Avoid using AHA or Glycolic Acid products with high frequency machines. 2. Avoid contact with broken capillaries, spider veins and areas of rosacea. 3. Do not use high frequency during pregnancy (although there is NO clear evidence stating side effects). 4. Do not use if your client has a pacemaker, heart disease history, or epilepsy. 5. Avoid wearing metal jewelry while using high frequency. Avoid use on clients with braces. 6. Never operate a high frequency machine with a broken bulb. 7. Do not use outdoors, near water or around combustible substances. Are you currently offering high frequency with your facials? If not, what are you waiting for? Check out Pure Spa Direct for our wide range of high frequency units, and offer this amazing service to your clients right away! In this time of financial uncertainty, clients are holding on tighter than ever to their money. That is not to say they won't spend it, they are just more cautious about how they spend it. It has been said in recent years that the most popular spa services are basic facials and massage. Why? Clients see/feel immediate results, at the lowest cost. What does this mean for the spa owner? Offering a great facial at a great price will bring in more business. But how can you increase profits (after all, this is business!)? Low-cost add-ons are a great way to increase profit, as well as client satisfaction. Add-ons under $10 are a great sell, and if you can add them to every facial you give, your profits will see a healthy boost! One of our favorite add-ons are collagen under-eye patches. Clients often come to the spa looking tired and run down. Adding on collagen under-eye patches will reduce puffiness, making clients look younger and refreshed: exactly as they want to look when they leave your treatment room! 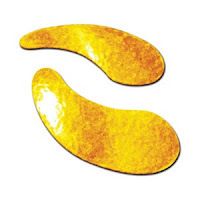 Pure Spa Direct recently added the 24 Carat Gold Crystal Under Eye Patches. Gold has been used for thousands of years to rejuvenate skin; in fact, it was Cleopatra's secret to looking young, firm and beautiful! Nano-sized gold particles are small enough to penetrate the skin, fight free-radicals, and boost natural collagen production for firmer, plumper skin. This is a great add-on for facials, body wraps, or lash services. At $3.65 per pair, you have the opportunity to make up to 173% profit, while keeping the add-on under $10! What profitable add-ons do you offer in your spa? Help your clients achieve clear, healthy skin with our exceptional selection of quality facial steamer. Facial steamers moisten and cleanse skin. Steam causes pores to expand and stimulates blood circulation. 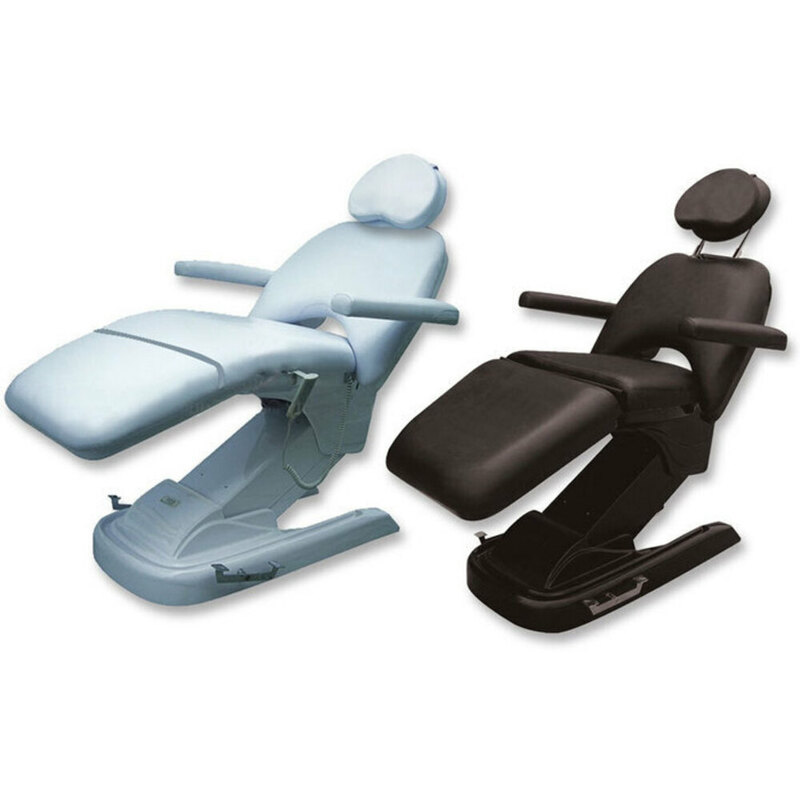 Adjustable extension arms allow a broader facial steam. The ozone variety of steam is also capable of increasing cell oxygenation. Herb baskets and essential oil inserts allow for amazing aromatherapy benefits. 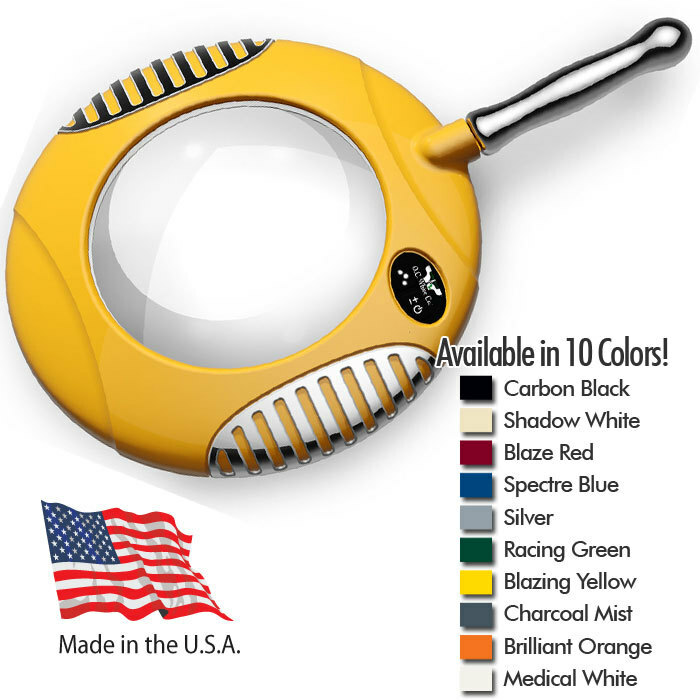 There are mini steamers, cool mist steamers, dual steamers... the choices are amazing. Most suppliers offer just a few facial steamer choices, but Pure Spa Direct is different... we have a massive selection of over 100 - with a wide variety of features and functions in a wide range of price points to fit your needs -- from the noob just starting out to seasoned professionals at elite spa. Many estheticians consider the facial steamer the most important piece of equipment in the esthetics industry. It is used as part of facial treatments, and is frequently used with oxygen products. Softens dead cells on the surface of the skin so they can be exfoliated more easily. Aids in opening pores so they can be properly cleansed. Penetrates deep into the pores to soften blackheads and deposits of grease, makeup, and dirt so that the debris can be easily removed. Some clients get a facial for the deep cleanse. Others, for the extractions. Still others, for the mask. Ahhhh the mask. What kind of masks do you use in your facials? This is where you can really customize your facial for each client. Once you have examined, poked, and prodded, now it is up to you to choose which mask will perfectly finish each facial. I always suggest to my clients to have a number of types of mask on hand. Every client is different, and you need to be prepared! 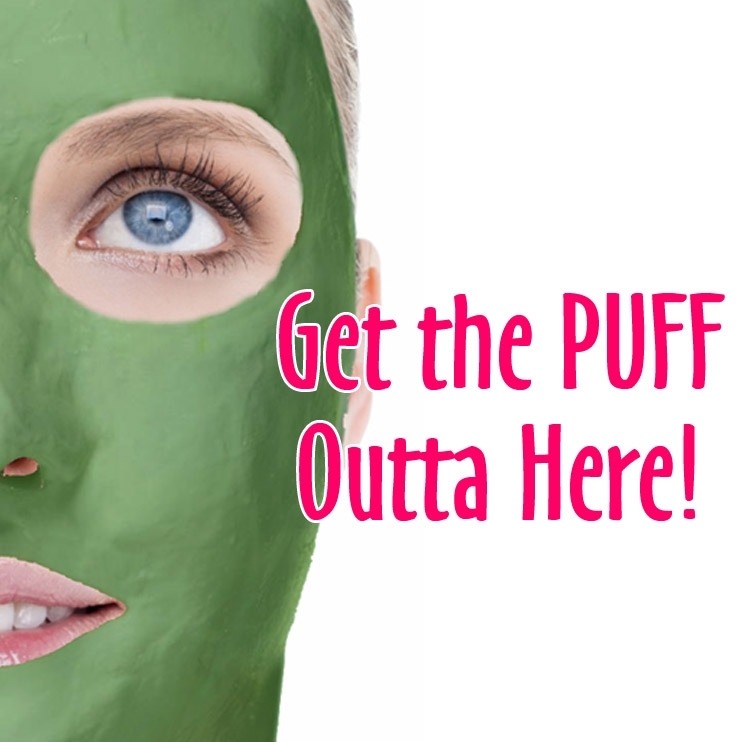 In my 6 years with Pure Spa Direct, I have probably tried every mask we offer at least once. The ones on this list are the ones that we have heard (or experienced!) rave reviews about from our clients many, many times. I think you should try each and every one of them - they just might be your new favorites! This is my Holy Grail of masks. I love peel-off masks, because they provide just the right amount of tightening with application. Plus, it is kinda fun to peel them off! :) THIS peel off mask? AHHHH-MAZING! It complements any skin care line so well, while visibly tightening and firming the skin and generally rejuvenating tired, dull skin. Recommended for all skin types to address hyperpigmentation, dehydration, and stress, this mask also lifts and firms. This cream based masque contains papain, with mango and pineapple extract. The result? A highly clarifying masque that reveals the beauty of your clients' skin, including improved tone, clarity, and firmness. This pre-soaked, gel based mask is an incredible mask for oily and acne-prone skin. Activated charcoal is an excellent ingredient for absorbing impurities from the skin, and the skin is left looking clear and feeling soft. This intensive wrinkle treatment mask is perfect for your clients who come to see you on the day of an event. This mask tightens the skin, providing the client with supple, firm skin. This 100% Freeze-Dried Collagen mask is infused with DNA for an intense moisturizing and smoothing treatment, that fights wrinkles and slackening skin. Just wow. This mask is hydrating, nourishing, and calming for normal and mature skin. It is a creamy mask ideal for even the most sensitive of clients, leaving the skin feeling soft, supple, and hydrated. If none of these masks are your favorites, don't worry! Pure Spa Direct offers HUNDREDS of masks. You are sure to find the ones that are just right for your clients! The Pillowettes are like nothing else on the market! They are miniature pillows filled with absorbent and luxurious cotton. They are 100% cotton, super soft and absorbent, and what also sets the product apart is the slipcase that perfectly fits two fingers, which provides estheticians with greater control during usage. Estheticians and Nail Technicians love this feature that provides them with ease of use! The Pillowettes are very versatile. 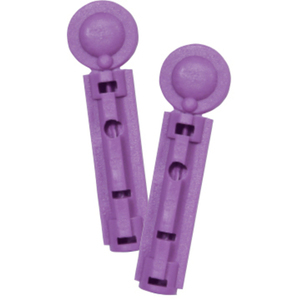 They are great for make-up removal and are gentle enough for even the most sensitive skin! Aside from skin care, they are the perfect lint free nail wipe for soak off gel polishes as well. The Pillowettes are also exceptionally great for use when applying after wax lotions and gels, because they won't be irritating to such a sensitive area. They come in an 80 count box of pure softness! One of the most popular pieces of esthetic equipment that Pure Spa Direct offers is galvanic. This treatment is the perfect add on for many facials, and most of our estheticians find galvanic equipment an excellent investment. However, what exactly is galvanic, and how does it benefit the client? The skin blocks the absorption of almost all products applied directly on top of the pores, which is why even the most expensive skin care products do not always make any difference to the texture or tone of the skin. Galvanicfacial treatments offer a solution for making those skincare products work; the machine promotes the absorption of products used on the skin, driving them deeper into the pores so that they can work. It also helps to tighten up the skin, helping to reduce the appearance of fine lines and wrinkles for good. Galvanic facial machines convert oscillating current from an electrical outlet into a direct current. Electrons are then allowed to flow continuously in the same direction. This creates a relaxation response that can be used to target specific nerve endings in the epidermis. Galvanic machines are most often used by Estheticians to effectively push skin care product into the client's skin. Galvanicfacial machines use electric current to create two significant reactions in esthetics: chemical (disincrustation) and ionic (iontophoresis). Micro current energy has been documented and studied for over a century, and galvanic treatments use very low-frequency impulses so there is no risk of burning or electric shock. Galvanic is based on the basic laws of electricity: “similar or like repel, opposites attract”. The two forces (positive and negative) pull together like a magnet and push the skin care product into the deeper layers of the skin, or the dermis. The capacity of the skin’s absorption is increased by the galvanic ion and this improves the penetration of products (such as anti-wrinkle cream) through the skin. In addition, skin will be completely cleansed as negative ions force all the dirt and debris held within the pores to the surface. At the same time, the positive ions give the skin a fresh look and plump the skin, banishing wrinkles. The galvanic hand piece is used to direct a galvanic current of ions directly into the skin. These positive and negative ions act like a magnet on top of the skin’s surface, and will slowly push the product lying on the skin’s surface down into the deeper layers. The skin can then absorb the treatment within seconds and the electric energy also firms up, tones and tightens the skin during the session. Most sessions last for just 10-15 minutes, but are combined with a full facial treatment that can last up to an hour. The client holds the positive electrode while performing disincrustation and the negative while performing iontophoresis. The technician gently rubs or presses the galvanic massager over the skin so it gives a steady, direct galvanic current of positive and negative ions through the skin. Estheticians use disincrustation (anaphoresis) to facilitate deep-pore cleansing. During this process, galvanic current is used to create a chemical reaction that liquefies sebum and debris. This treatment is very beneficial for oily or acne skin because it helps soften and relax the debris in the follicle for extractions. To perform disincrustation, an acid-based electropositive solution (disincrustation lotion) is placed onto the skin's surface. The solution is formulated to remain on the surface of the skin rather than be absorbed. When conducting disincrustation, the client holds the positive electrode, the positive polarity. The esthetician has direct contact with the disincrustator that is set on negative polarity. This creates a chemical reaction that transforms the sebum of the skin using a process known as saponification. Soap is made from fat and lye (sodium hydroxide). When the electrical current interacts with the salts in the skin, it creates the chemical sodium hydroxide or lye. This soapy substance helps dissolve excess oil, clogged pores, and remove other debris on the skin, while softening it at the same time. For those who suffer from acne, this treatment can help remove sebaceous blockages and clear congestion that leads to acne. A hydrating and nourishing substance needs to be applied during the facial process in order for those with dry and normal skins to benefit from galvanic. Iontophoresis therapy is the therapeutic introduction of ions of soluble salts into tissues by means of electric current; a form of electro-osmosis; also, a process of increasing the penetration of drugs into surface tissues by the application of electric current. In short, Iontophoresis is the process of introducing water-soluble products into the skin with an electric current. This process allows estheticians to penetrate ions of an applied solution into the deeper layers of the skin with the galvanic current. Ions are atoms or molecules that carry an electrical charge. Current flows through conductive solutions from the positive and negative polarities. This is known as ionization, the separating of a substance into ions. The electricity triggers cellular turnover so that any damaged tissues can repair and heal quickly, and even though the procedure does not injure the tissues, it does ‘trick’ the cells so that they begin to undergo the healing process. Galvanic facial treatments have been used for decades as an anti-aging solution. For clients who want to rejuvenate and revitalize their skin, choose a galvanic treatment. Examples of some conditions that need consideration by the Esthetician are: Diabetes, Circulatory Disorders, Metal pins and plates implanted into the body, and pregnancy, to name a few. Do not use negative galvanic on skin with broken capillaries, pustular acne, or on clients with high blood pressure. Do you currently offer galvanic treatments? 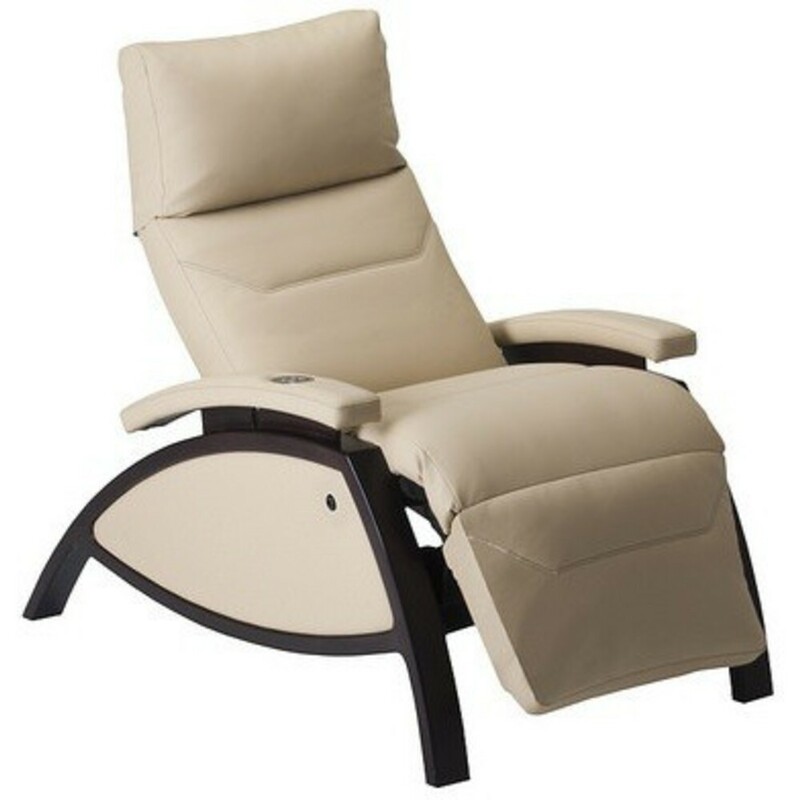 Check out Pure Spa Direct to view our wide selection of galvanic equipment today! Invest in a Multi-Function Unit to Accelerate Your Business! As an esthetician, you always want to have your tools accessible and available when performing your facial services. Investing in a Multi-Function unit helps ensure that you will be able to perform any facial, any time, while making the most of your precious space in your facial room. One of our most popular multi-function units is the 17-in-1 Multi-Function Facial Machine. This Quality machine features quality construction, easy operation, amazing versatility, all at a reasonable price! Diamond Micro Dermabrasion - The diamond microdermabrasion (crystal-free) system replaces the micro-crystal flow with a diamond tip wand. Areas closer to the eyes and mouth can be abraded more accurately with diamond abrasion (no risk of stray crystals causing damage or being ingested). Provides a Non-Surgical skin resurfacing procedure by using sterile diamond heads to peel and rub off the dead cells at the top skin layer followed by vacuuming/suction removing particles along with any dirt and dead skin. This procedure removes skin debris, scars, blemishes, wrinkles and uneven pigmentation of the skin. Moderate usage of diamond dermabrasion accompanied with skin products that penetrate through the top skin layer and reach the dermis level help to replenish natural nutrients and restore cell activity promoting healthy skin. Great care should be taken when sterilizing diamond microdermabrasion tips between uses. This should be done in steam, alcohol and UV light. 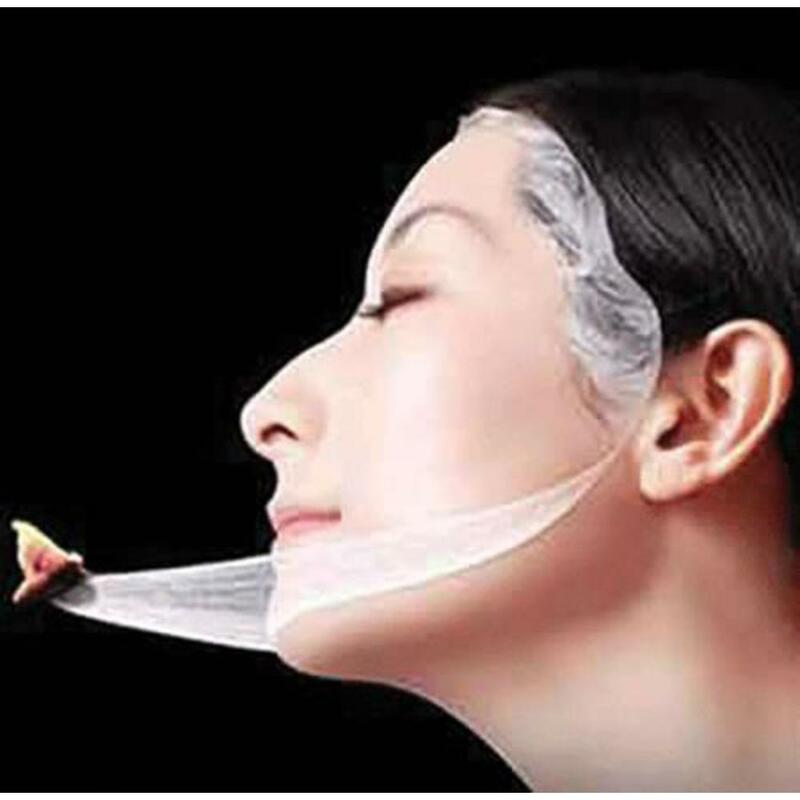 Hot Facial Steamer - Used to improve blood circulation, open the pores, and generally revitalize the skin. Ozone - A natural germicide, ozone enriched steam helps promote a more sterile environment. Benefits: Ability to view the skin under UV rays to effectively treat the skin. Herbal Aroma Therapy - Adds aromatherapy function to the steamer. Tool Sterilizer - Uses ultraviolet rays to sterilize bacteria and viruses on electrodes, scissors, glass, brushes, and other accessories. 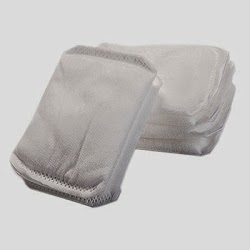 Hot Towel Cabi - Great for warming towels and keeping your clients comfortable during facials. Ultrasonic - Acoustic vibrations which stimulate the skin tissue and improves cell membrane and causes collagen regeneration. Reduces wrinkles and fine lines that for younger looking and feeling skin. Ultrasonic also generates frictional heat which accelerates blood circulation and helps muscles to relax and decompose cellulite and deeper product penetration into the skin. Skin Scrubber - Allows for deeper penetration of skin care products while removing facial wrinkles. The skin scrubber uses ultrasonic waves (up to 28,000 pules per minute) to help clean blackheads, acne, wrinkles, cutin and melanin without any pain. Ultrasonic frequency vibration will immediately soften the pores, emulsify and clean dirt and residue. It easily removes aged surface skin, revealing a clear and smooth skin surface, aiding in skin cell renewal. It also accelerates blood circulation and strengthens skin tissue metabolism. Cold Hammer - Designed for cooling down the skin after dermabrasion treatment; it will reduces redness of the skin. Hot Hammer - Designed for accelerating the absorption of nutrients into the skin. Galvanic - applies the principle of negative and positive current pulling. Cooperating with nutritional solution of anion and Cat-ion to introduce nutrition into skin and harmonize skin degree of acid and alkali. And also to accelerate blood circulation. Benefits: Utilizes sonic vibrations to reduce lines, leaving the skin firm and smooth. Features intensity control. Your Fantasea Trolley Will Make You Jolly! The Skin Care Trolley by Fantasea is perfect for so many reasons! It is stylish, practical and inexpensive. This unique trolley is constructed from metal, allowing you to store all your skincare and waking products without leaving anything behind. With this versatile trolley, technicians can have all their products with them at all times, without breaking their backs! The design of this Trolley is really a technician's dream! The sturdy wheels provide easy mobility, and each of the 2 shelves have sides so your products won't fall off every you move the trolley. On top of the 2 convenient shelves for storage, the tilt out bin is by far the most practical and coolest feature! 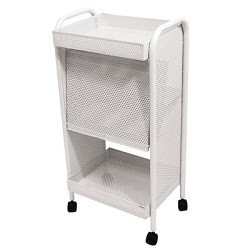 You can now have one Skin Care Trolley that stores all your products and supplies, no matter the size!